The Colorado Fruit and Vegetable Growers Association (CFVGA), Rocky Mountain Farmers Union, and the Colorado Department of Agriculture will host an all-day Produce Safety Rule training, Jan. 25 at the at the Weld County Extension Office, 525 N 15th Ave., Greeley, Colo. 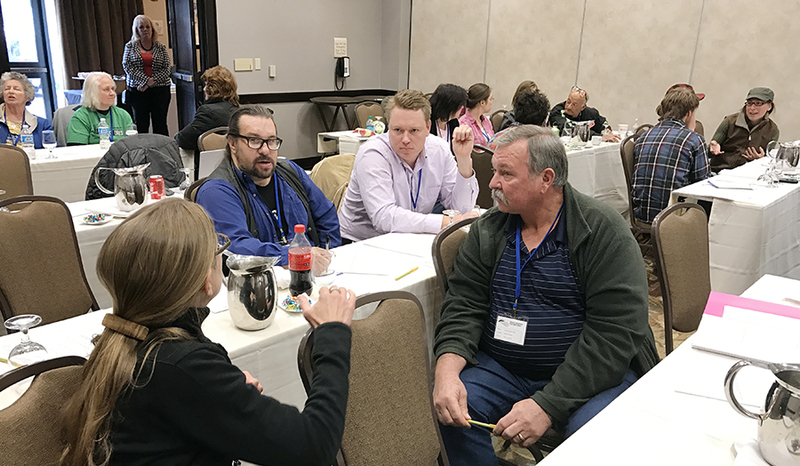 Completion of this Produce Safety Alliance (PSA) training will enable growers to comply with the Food Safety Modernization Act (FSMA). The training offers for no additional charge simultaneous translation into Spanish. Please join the West Greeley Conservation District from 8am-5pm on March 14th and 15th at Island Grove Park in Greeley, CO for a 2-day soil and water symposium at Island Grove Park for progressive farmers and ranchers in Northeastern Colorado. It will be a great way to meet new people and explore new ideas in the world of agriculture! RSVP today to reserve your spot at this FREE event. 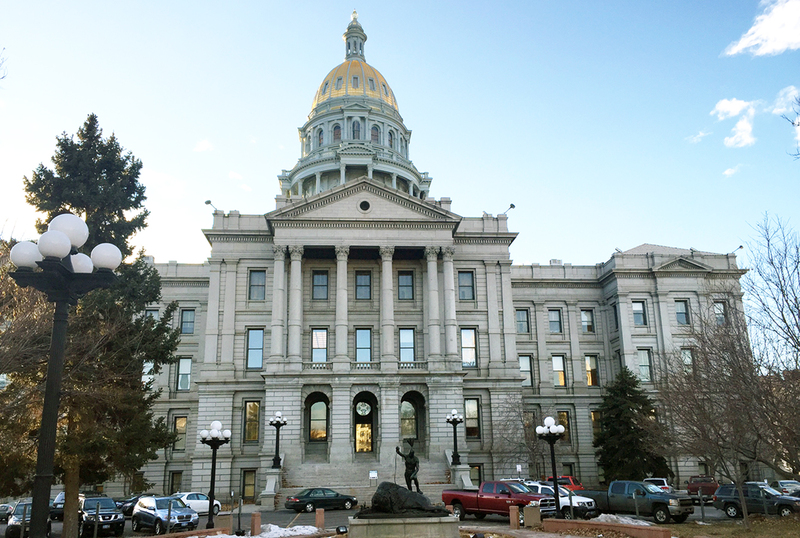 BROOMFIELD, Colo. – A shovel of soil has officially kicked off the final phase of office consolidation for the Colorado Department of Agriculture. The project will move CDA’s Inspection and Consumer Services division to Broomfield, where the main office is located, and will include three laboratories including metrology, animal health, and biochemistry. The new facility will replace the almost 50-year-old facility located in Denver. As workers age, they are faced with increasing rates of arthritis, back pain, decreased strength/endurance, hearing impairments and other medical conditions. These conditions increase the likelihood of slips and falls, being pushed by fast-moving livestock, accidents with machinery, and other dangers. Assistive technology can help mitigate the impact of aging conditions and help older farmers work with more safety. The cost of assistive technology and safety is significantly less than the expense of injury on the farm. Join fellow Colorado farmers, ranchers, veterans, their families, and service providers at this upcoming workshop in Northeast Colorado. These free educational events are for individuals who are dealing with barriers created by illnesses, conditions, or limitations. Topics to be discussed include; What is AgrAbility, How to Work Well with Ag Lenders and Bankers and Saving Time and Money with Assistive Technology. This year’s AgrAbility event in Northeast Colorado will be held Tuesday, Feb 13, 2018 from 10:00 a.m. to 2:00 p.m. at the Morgan County Extension Office, 914 E. Railroad Ave., Fort Morgan CO 80701. A free light lunch is provided for those who pre-register at least one week prior to the workshop. 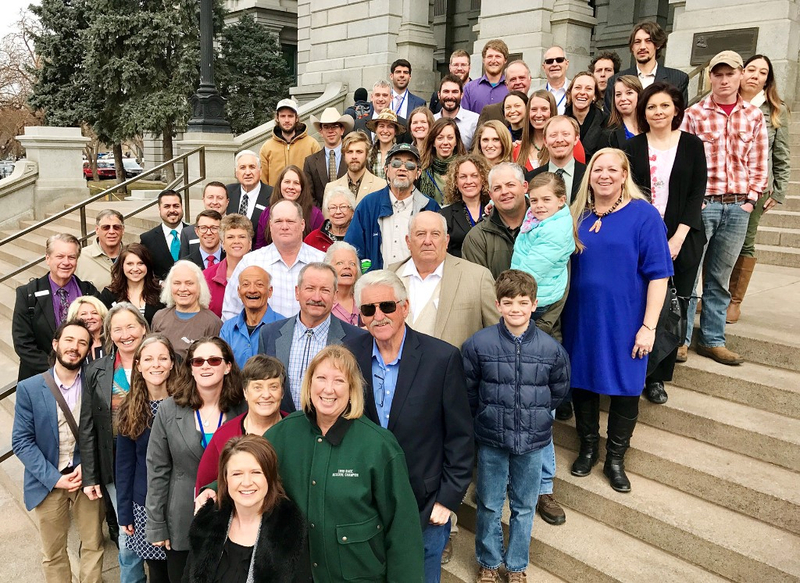 The Colorado Legislative Drive-In for members of the Rocky Mountain Farmers Union will begin at 9 a.m. and conclude at 2 p.m. on Monday, February 12. The RMFU will host lunch and invite you to join us for the day. Please note they are meeting in a new location just two blocks north of where they were last year. 9 a.m. to 2 p.m. Monday, February 12. ARLINGTON, VA – “We are encouraged that the U.S. Department of Agriculture’s (USDA) principles for the next farm bill, released by Secretary Sonny Perdue on Wednesday, start with improving the farm safety net. The current farm bill’s dairy Margin Protection Program (MPP) has proven to be inadequate in providing help to America’s dairy farmers, and fixing it must be a priority in 2018. (CHICAGO) – Innovators. Educators. Communicators. Those are just some of the words used to describe the four recipients of the newly inaugurated “Seeds of Change Awards” at the 2018 Soil Health Partnership Summit, Jan. 18-19 in Chicago. These awards were developed to highlight those members of the Soil Health Partnership who go above and beyond to advocate for the partnership and for soil health throughout the year. WASHINGTON, D.C. Jan. 23, 2018) – A partnership to assess agricultural practices and strategies to further improve water quality in the U.S. was launched today by USDA’s Natural Resources Conservation Service (NRCS), the Sand County Foundation, the Noble Research Institute and Farm Foundation. The National Agricultural Water Quality Practice Assessment seeks to better understand how effective specific agricultural management practices are at improving water quality. The year-long project will culminate in a comprehensive report identifying current baseline knowledge about managing agricultural lands to improve conservation outcomes. The report will also identify critical gaps in knowledge, as well as strategies to advance agricultural conservation adoption and effectiveness. A key goal of the assessment is to help agricultural producers identify effective management practices that have the potential to yield tangible environmental results while supporting the economic viability of farms. ARLINGTON, Virginia — U.S. Wheat Associates (USW) and the National Association of Wheat Growers (NAWG) are expressing concern that a revised Trans-Pacific Partnership (TPP) that excludes the United States puts overseas demand for U.S. wheat at serious risk. 01-23-18 ICYMI: CO Farm Show Beef Day Presentation Audio Available Now! NEW PRAGUE, MINNESOTA (AgPR) Jan. 23, 2018 – The Agricultural Relations Council (ARC) is pleased to announce the National Cattlemen’s Beef Association (NCBA) will host the 2018 Summer ARC Intern.